As I approach one year of writing this blog, I've been thinking a lot about changes. A few cosmetic ones, aiming for a look that's more appealing and easier to navigate. I changed the header a bit, re-did the fonts, and added popular posts to the sidebar. I have been giving lots of thought to the name of my blog. When C turned 20 earlier this month, Two Teens And Their Mama became kind of irrelevant. However, I've become fond of the name over the last year, so for now it's staying the same. Besides, he might technically be 20, but I'll probably still see him as a teenager until he moves out of the house. I've been thinking the most about my content. When I started a year ago I had a rough list of topics that interested me, although that list has been tweaked and changed as I've gone along. Meeting other bloggers and doing link ups has challenged me to think outside the box and be more creative, which is the main reason that I do this. To challenge myself creatively. I love to write, I want to improve my writing, and the best way to get better is to keep writing. But lately I've fallen prey to the blogger curse - comparing myself to others. I was getting down about my writing style, the direction my blog is going, and my work-in-progress photography skills. I was losing my way. The thing that was giving me the most pause were my Wednesday fashion posts. My original intention was to show easy mom-style type outfits to maybe inspire someone to "get out of the sweats and into the style", because that's what I put on every day. When I worked outside the home, I enjoyed wearing dresses and skirts and beautiful shoes. It was actually a requirement, because I was employed in the fashion industry. But there's not much point when I spend most of my time in a home office with my husband for company. For a while I considered stopping my weekly outfit posts. I wouldn't quit writing about fashion, since that's a love and interest of mine, but maybe I didn't want to include myself in the picture. But over the weekend I was reading some older posts on Pam Lutrell's blog Over50Feeling40. I get so much inspiration from Pam, and I hope my blog can be similar to hers when it grows up! Her header reads, "Encouraging women with ways to achieve strength, confidence, youthful thinking, inspiration and, of course, head turning personal style." Pam is uplifting and positive, and her beauty shines through in everything she writes. And then I came across Neil Gaiman's Eight Rules of Writing. I love them all, but number 8 seemed to be speaking directly to me. "The main rule of writing is that if you do it with enough assurance and confidence, you're allowed to do whatever you like. (That may be a rule for life as well as writing. But it's definitely true for writing). So write your story as it needs to be written. Write it honestly, and tell it as best you can. I'm not sure there are any other rules. Not ones that matter." So what does any of this have to do with Dress For The Day You Want To Have? Going forward, I will "dress" my writing for the writer I want to be. I will blog about the things that matter to me, I will continue to develop my personal style, and I'll share what makes me happy. Even my outfits. Not every post will be perfect, but with each one I will be a step closer to the writer I hope to become. I'll do my best to not compare myself to others. I have no idea where this will all end up, and my journey will be mine alone. I'll be brave and keep blogging, because it allows me to be creative, and it makes me happy. Now, this definitely makes me happy....it's time for the Spring Style Challenge with Alison at Get Your Pretty On. Registration is open until April 2nd. The shopping list releases on the 3rd, and outfits start on the 12th. I'm really excited about this one, because my shopping ban is over and I can't wait to try some new spring fashion. This will be my fifth Style Challenge, and I cannot say enough good things about it! Alison has amazing style, and shares it all during the 21 day challenge. If you don't have a lot of money in your clothing budget - no worries. I usually find many of the items are already in my closet, and it's easy to substitute with pieces that you own. Plus, Alison's picks are always very budget friendly. The girl knows how to shop a Target sale! The best part? Not having to figure out what to wear every day - because Alison tells me! 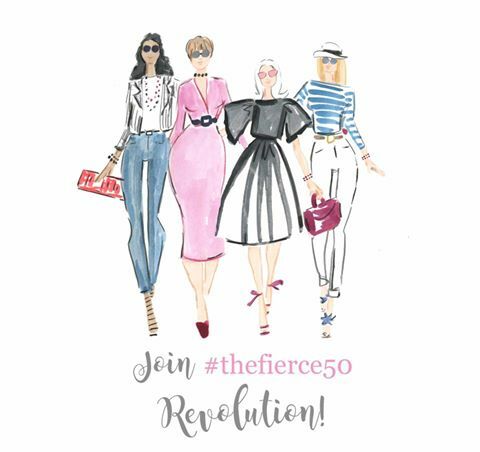 Click on the graphic to sign up or find out more information about the Spring Style Challenge - any questions, leave me a comment or shoot me an email! I'm so happy to have found your blog too Launna! Wow - 6 years - that's very impressive! This was a great read. It's so true. Sometimes you want to stick to certain topics, because you might not feel viewers might find it interested, but be brave. Thanks for sharing. Your blog is beautiful! I think that's my favourite part of your blog: the honest and sincere writing you do. Keep telling your story! And this is why we're friends - because I think you're honest and sincere too. Thanks Deena! One of the things I love about your blog is your upfront and honest writing style! Your blog is unique to you and it's your voice! Keep writing what inspires you! Thanks Jill! I appreciate your loyalty to read and comment every day! Your blog has become one of top ten favorites. I originally found it when looking for fashion over 40 but love to read what you write about all aspects of your life. I also have two children about the age of yours, only one still a teenager. I live in the South and enjoy your stories from the Northwest. My husband and I also work together in a business. Wow, thank you so much! I'm so glad that you enjoy reading here. Isn't working with your husband fun (at least, most days :)! Lana, can I tell you how much I love this post? Well, I guess I just did but for reals--this is great! I struggle with the same thing. I, too, have only been writing for a little over a year which a whole bunch of breaks in between because I got sidetracked and it wasn't a priority. But it was also because I didn't think mine was as good as others that I followed and I hated that. When I decided that 2015 was my year to really get back to blogging, I did it all for me! I wasn't writing it to get accolades or have someone tell me it was the best or I had the best pictures or whatever, I was writing to document my life so that one day I can look back and say, "wow, can you believe you thought that or said that or did that or...". And as for "What I Wore Wednesday"---girl, this is a crazy struggle for me. I just did my first one this past week because I work from home and literally the only time I get out of my PJ's is when I am traveling--that is soooo sad but soooo true. Thanks for being honest and keeping your blog real and what you want it to be about :) Love reading! Thank you, thank you Jenny! I'm so glad that I found your blog. I love what you said about documenting your life - like an online journal! I really enjoy reading your blog every day too. BTW, I think your outfits are really cute :)! Your blog, and your writing are both amazing Lana! Keep on writing from your heart, about the things you like to write about - and we will all be happy reading! 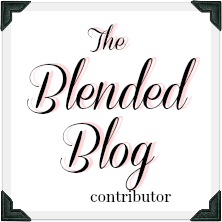 I love your new blog changes - and glad that you are keeping the name! I'm looking forward to Year Two!! Thanks so much Susan - you've always been my biggest supporter on this blogging journey! So glad we found each other. I'm looking forward to your year two also! As a new blogger who is just trying to find her way, you words have inspired me today! Thanks very much! So glad you liked it! I hopped over to your blog, and I love your writing style. Happy to meet you. Lana, I love this post, because it is something all of us struggle with. I am honored you mentioned me and honored to have been a part of your inspiration. But, the quote from 8 rules of writing is great...it is a keeper. I am so glad you will still be here and I will be looking forward to Wednesdays!! Thanks Pam. You really do inspire me! I am so happy that you first hit that publish button! I get to read a blog that I love to read by a friend that I've grown to love! Aww...Rena, thanks! I feel exactly the same way about you - so glad we found each other! Ha ha - there are some similarities! We all have a unique voice, even if we're writing about similar topics. Thank you Laurel! I imagine it's something we all deal with. I learned the hard way that comparison is the thief of joy. I love how authentically you wrote this post, and readers will know it. Pam? She's an incredible role model and I had the good fortune to hug her at BAM15. You are doing great, and big congrats on your one year anniversary! See you around the Internet! Thanks for your kind words Cathy. I was so disappointed to miss BAM this year, and meet all of you wonderful ladies. Hopefully next year! I've had to learn, the write what you know and want to write, lesson over and over. Finally, it's starting to sink in. But thanks for the reminder. However, I would caution all of us to guard against narrowing our focus too much. Sometimes, I think, it's good to venture into something entirely new, something you thought you would never ever write about. Thanks. Thanks for the reminder - you are right! Thanks so much for stopping by today. It is a blogger's curse, Lana and I don't think none of us are immune to the comparison bit. But you're right. We just need to keep writing and moving forward with things that make us happy! Pam is inspiring and one thing that really stuck with me when she spoke at BAM and when I chatted with her is her 'Fake it till you make it' philosophy. Focus on who you want to be, or what your blog wants to be, have that image and OWN it, and it will all be real in no time. I love visiting here and I'm sure things will only continue to look up! Thank you Joy! I really enjoy your blog as well. I was so sorry to miss BAM - I wanted to meet all of you wonderful ladies. Fake it till you make it - love this! I feel exactly the same way about the outfit posts. But I've found that they make me happy. Thank you so much for the lovely comment. I hopped over to your blog and really enjoyed it - love your writing style! So hard not to compare ourselves to others. When I read that you weren't going to include pictures of you wearing outfits I wanted to scream out, NOOOO!!! But then I kept reading :) Love getting to know you and your family and am so glad that we "met" through the style challenge. Sarah, you made me laugh! I'm so glad to have met you too. And I figured out how to leave comments on your blog again! This is such a great post, Lana. I love hearing about the transition your going through with your blog. I have felt this and continue to as the year progresses. Have a lovely week! Thanks Carrie. Meeting new friends like you makes up for most of the difficult parts! I've been feeling a bit of a slump lately but it's only because I'm seeing it elsewhere and I'm letting it be a bit contagious. In truth, I write what I want when I want to write, and I do it often. I can't think of a greater gift to myself! Yes, writing is a gift to ourselves! Thanks Tamara! What a perfect way to express what many of us are feeling. I totally related and appreciated it - knowing I was not alone. I have come full circle and realize I have to do what I need to do to please myself and the rest will follow. I totally agree Carol. I think I'm finally figuring it out! Thanks so much for the nice comment Annah. It's so hard to not compare ourselves to others - but having an authentic voice is so important. I just need to remember that! Thank you so much Leanne. What a nice compliment. The feeling is mutual! I loved this Lana! I've been going through much of the same of what you expressed so well! So grateful we (the Style Me Bloggers) have found each other! You are *ALL* so encouraging and inspiring! That quote inspired me as well so thanks for sharing it! BAM is Bloggers at Midlife conference, which stemmed from the Women of Midlife writers group on Google + and Facebook. Such a great group of ladies ages 40+! I'm so glad the Style Me Bloggers have found each other too! So glad to have met you, sweet Lana. I know we haven't been 'friends' and following each other for long, but I think your blog has really evolved and grown just in the short time we have been acquainted. I learn something from you with each post. I will check out the other rules of writing but certainly agree with number 8. Thanks Leslie! One of my blogging goals is to keep growing and evolving, so it makes me so happy to read your comment! Tap on "Factory information reset" as well as frp bypass apk "Reset device" or "Erase every little thing" and also the adhering to things check this site would certainly be erased:Manufacturing facility Reset is constantly readies and secure for any kind of system, frp bypass download yet professional cyberpunks constantly locate a way to resolve various issues.